Oh my goodness... I have been waiting to share this with you and now it's here! Announcing the launch of my klass "Illustration Nation" with Sketchbook Skool!!! I've been working on this klass for a year with Danny Gregory and it's so chock full of goodness. This is a klass about the process of illustration - from tiny beginning kernels of ideas to full blown final art. We walk you through the steps with lots of demo videos, how-tos and pep talks. The goal is not necessarily to become a professional illustrator, but to understand the process and discover your own unique approach to it. My favorite part of the klass is the interviews with 8 top illustrators I had the pleasure and honor to talk to. They share how they come up with ideas, how they interact with clients, how they use materials, how they use digital and traditional tools, how they incorporate technical concerns in the manufacturing process and lots more. Each illustrator's approach is so different - so it was super cool to get to peek behind the scenes and learn how they do it. And of course - I show you my own process from beginning to end. You can see how I turn ideas into sketches into finished art. I hope you'll love this klass! 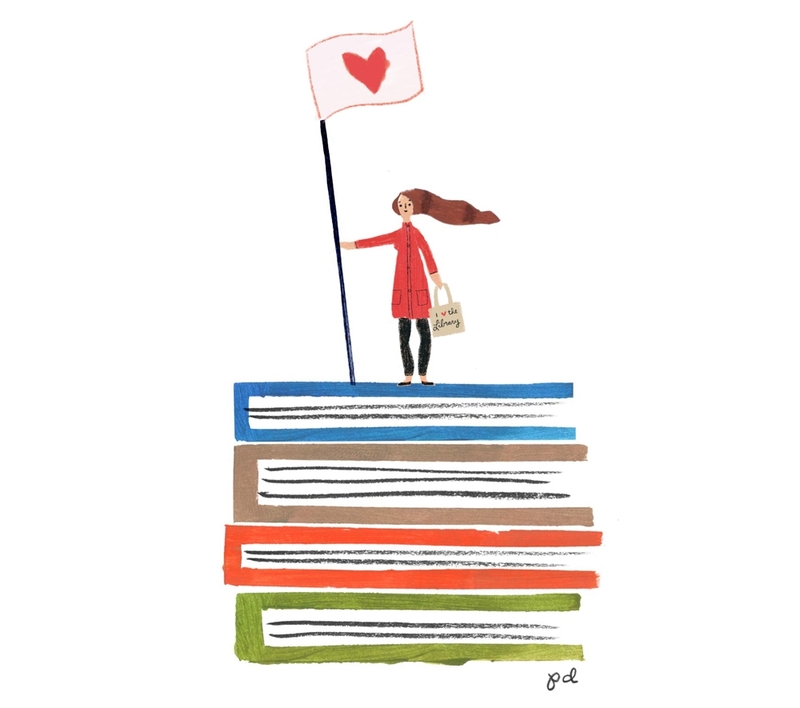 Find out more and sign up here: Illustration Nation! While taking time off from social media in December, I decided I wanted a way to connect with you on a deeper level - not just a picture here and there. I wanted to tell a little longer story and show you more things. So I started working on a newsletter. My hope is to offer this newsletter on a monthly basis so as to not overload your inbox. :) I plan to share behind the scenes peeks into my illustration work, offer just-for-subscribers special treats (this month's will be a downloadable pattern for your tech!) and post a monthly creative prompt. I'm most excited about the creative prompt! I miss creating with you as I did when I ran IllustrationFriday.com. So this is a more laid-back way to do that. Each month in my newsletter, I will post a fun creative exercise that you can choose to participate in if you'd like. It will all be explained in the first newsletter, but I plan to post some of the participant art here on my blog. 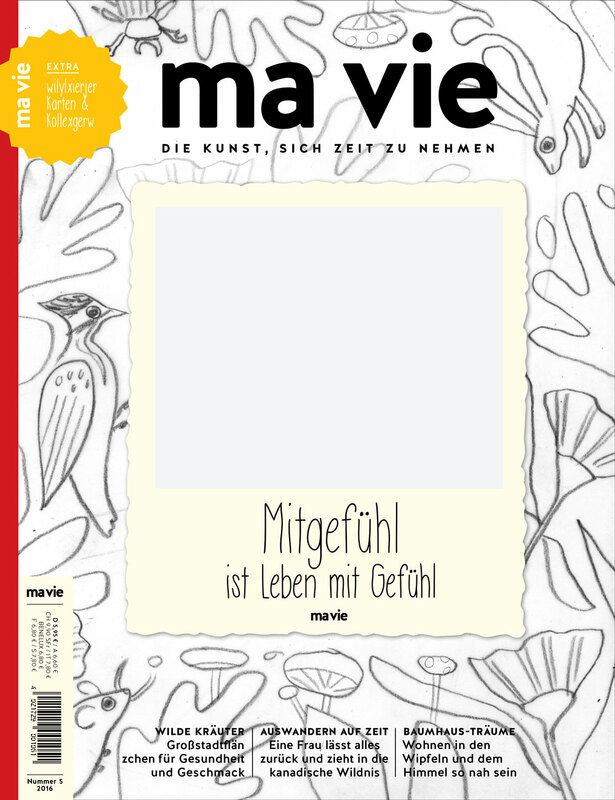 I hope it'll be fun for you and a way to spark some creativity! So without further ado, I hope you sign up for the newsletter "Inspiration in your Inbox" below! I will send out the January newsletter very soon. Thank you if you do choose to subscribe!! Subscribe to get Inspiration in your Inbox! Happy new year, friends! I’m sorry this gif is a little wonky... it’s supposed to pause on the “Wishing you a happy 2018”, but it won’t cooperate and I’m not stressing about it. Sending you all well wishes, good health and loads of happiness for 2018! Hello! I'm taking a social media break for the month of December. I’ve got some super fun new projects in the works, and of course I’ll be drinking all the eggnog and eating all the cookies. And going outside to play as much as possible! 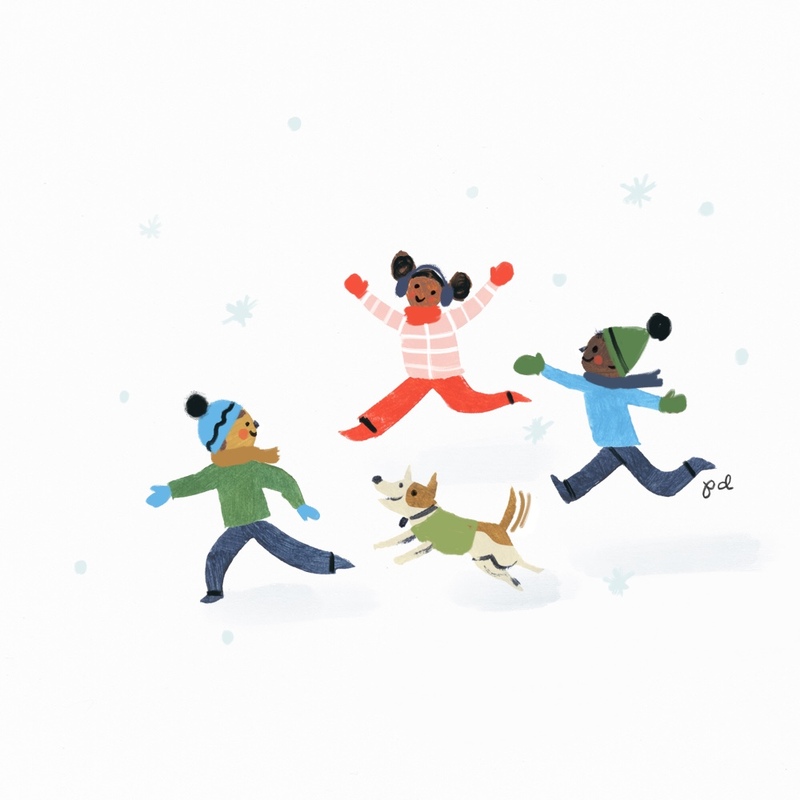 I had so much fun helping Brightly with their holiday campaign this year! It included this banner above, lettering and patterns for gift guides by age groups, and a gift tag coloring page, where I got to do some brushed line work. See the whole campaign here! It’s not “the talk,” but it can feel just as tricky. It’s important to initiate a conversation about race with your child, rather than waiting for it to just “come up.” And while it’s not an easy or simple talk, it is one you can prepare for. Here are four pretty simple steps to help, along with links to more information so you can dig deeper. 1. Name it and claim it. • Let your kids know it’s ok to use these words themselves. • If your kid uses an incorrect or unkind term, correct them. The same goes for yourself. • Don’t bother pretending you’re colorblind – or that anyone else is, either. Issues of race, and of white privilege, are inextricably woven into our nation’s history. If you live in this country, it’s woven into yours, too. Knowing the truth about where we’ve been, and where we are as a people, is essential to dismantling racism in our homes. Here are some great places to broaden and deepen your knowledge. 3. Stock up on truth. Children’s literature is indispensable in helping inform these kinds of conversations. Books with characters who look different from you (and this doesn’t mean animals!) 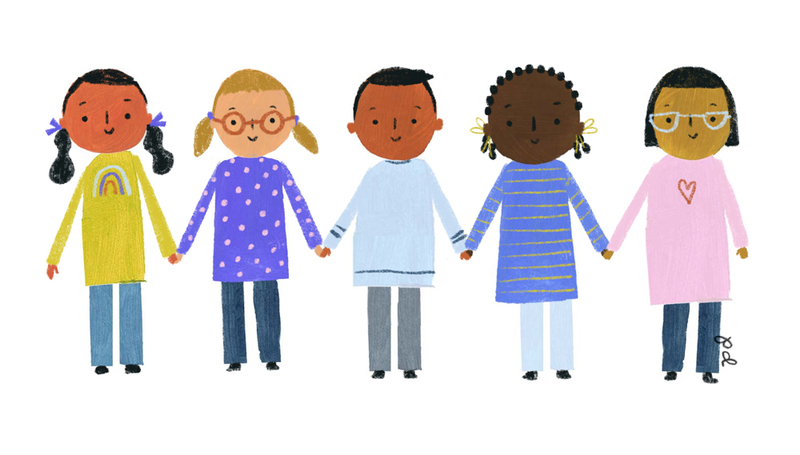 and celebrate different cultures will ease the topic of race into your child’s worldview. If your child seems not to notice, gently point it out and see what he or she says. In addition, you can intentionally choose books that are written and illustrated by People of Color and represent heroes and sheroes of Color. 4. Face race in your kid’s questions. Your kid has a million questions. That’s normal. Some of them are about race. Also normal. Sometimes he or she may ask these questions in a way that’s embarrassing, stereotypical or that uses inappropriate language. Again, normal. But don’t shut down the conversation there: Silencing a child so as not to offend anyone really just teaches them that talking about race is ‘bad.’ Instead, tackle this stuff head on. The way you handle this topic will be the most important guide for their thinking and future interactions. Here are a few ways to transition from question to answer. These are just four suggestions in an endless sea of important conversations. Let us know if you have additional tips, or if a personal story has led you to see the value – or the pitfalls – of any of these strategies. Offered to you by Malkah Bird, MEd & Penelope Dullaghan, artist. Malkah Bird, MEd, is a certified teacher, a parenting coach and a parent educator at Parenting With You. She teaches at a cooperative school in Indianapolis where she spends her time encouraging her kindergartners and their families to keep having hard conversations. 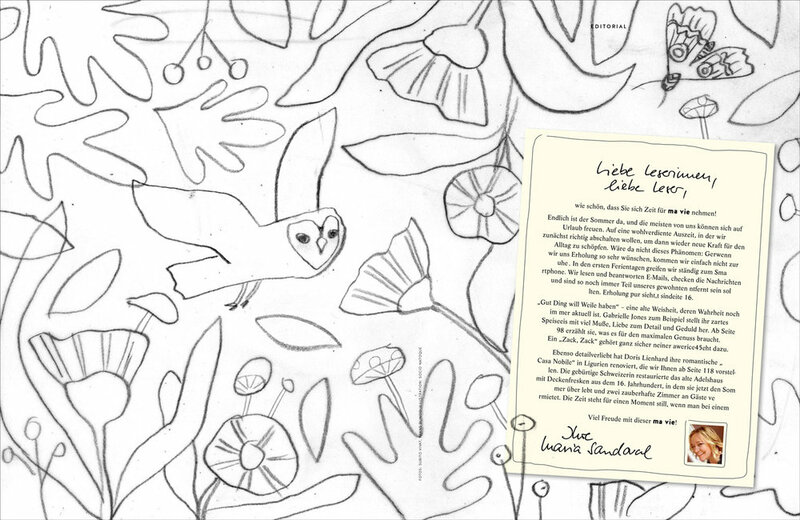 Penelope Dullaghan is an illustrator, pattern maker and creative explorer. She believes art can help bring about positive social change and that social change often starts with children. As a mother, she's interested in bringing more mindful, open conversation to her to parenting. So tired of hearing about all the greed and corruption in the news. 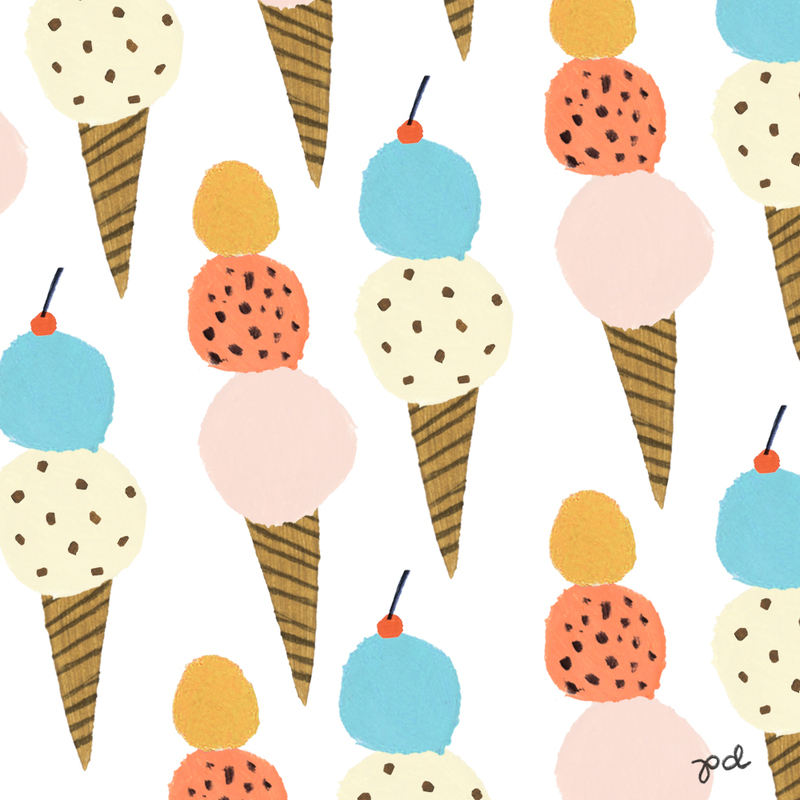 Here’s some ice cream. I hope you have a good day! After news of yet another mass shooting, we need gun control legislation NOW. Print out this image as a postcard here and mail it to your representative to tell them how you feel. No more of this. I had the great pleasure of bringing Milo's and Zamaya's dream home visions to life for Apartment Therapy ... Spices or princesses anyone? Woke up early to paint for a project and had some leftover paint on my palette - so another #leftoverabstract. I love making these. Pattern work makes me so happy. I love figuring out how the pieces fit together and repeat. Do you prefer the light background or dark palette? 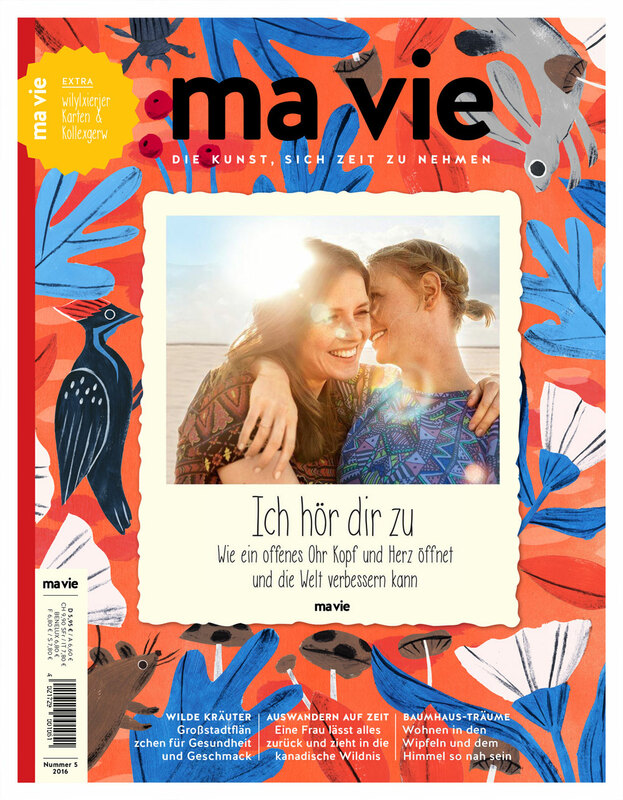 I got to do the fall cover and opening editorial spread for Ma Vie, a German magazine. I really love how it turned out - bright and bold with a limited palette. I am so honored to share this message from Glennon Doyle and SuperSoul that I helped bring to life with my friends at SALT Project. Glennon's message about not shielding our kids from pain, but leading them through it courageously, resonated so deeply with me. Being with pain - and not shying away from it - is something my little family of three tries to practice regularly with small things so when the big things come up we can call on our tools of kindness, wisdom and resilience. These qualities are muscles we try to build. My deepest gratitude to Glennon, Super Soul, Oprah Magazine and SALT Project. Art to Stop Puppy Mills! 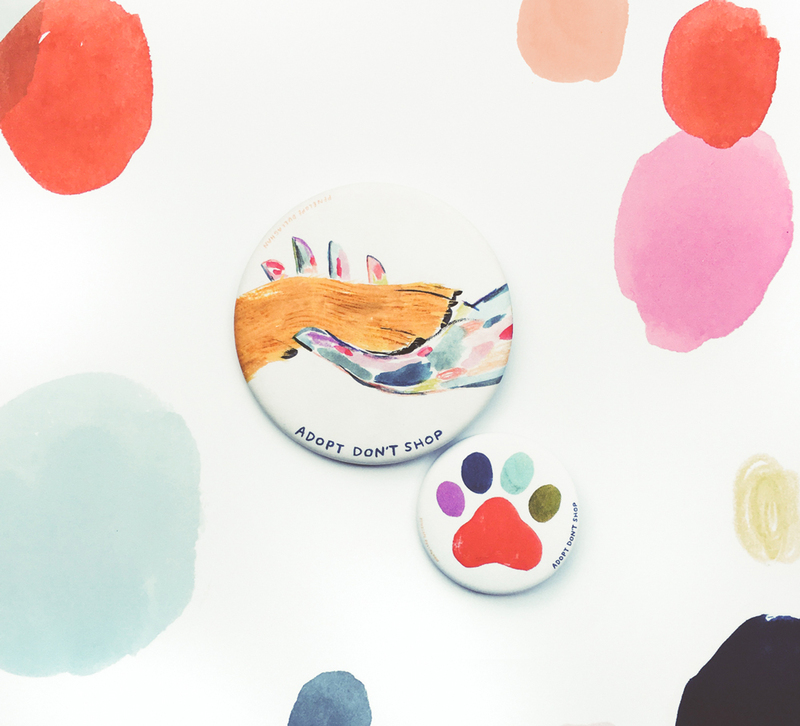 Introducing two new pins all about dogs - one for you and one for your pup! 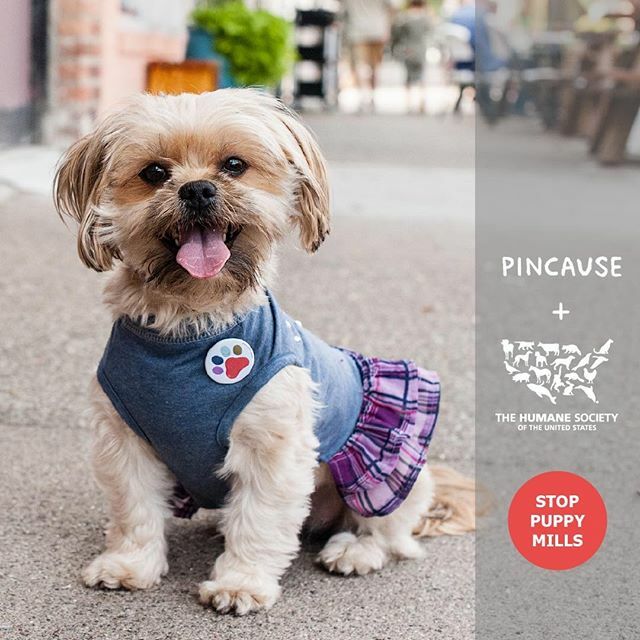 I partnered with Pincause and the The Humane Society to create these pins to raise money for the HSUS Stop Puppymills campaign and the #adoptdontshop movement. Buy both at https://pincause.com/. 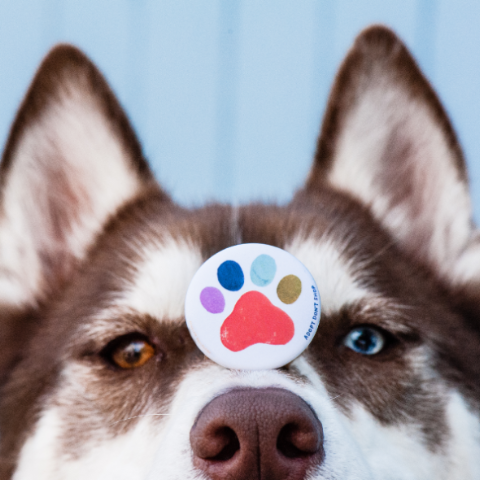 Take a pic and tag Pincause, sharing your story about how you and your dog found, and saved, each other! 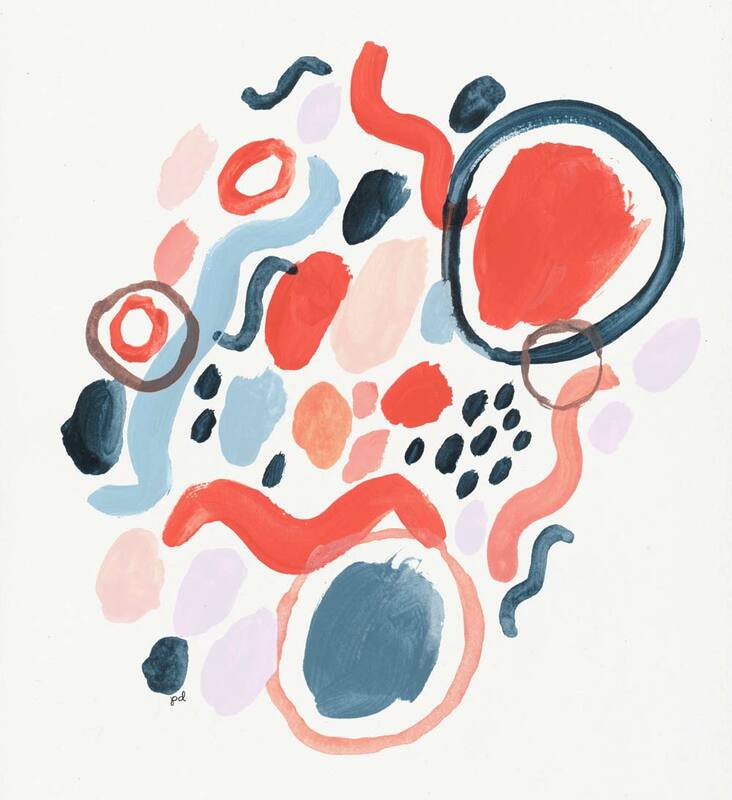 Women Who Draw just launched their first collaborative art piece, ONE SKY, where women artists all over the globe looked up at exactly the same time and drew the sky they saw. 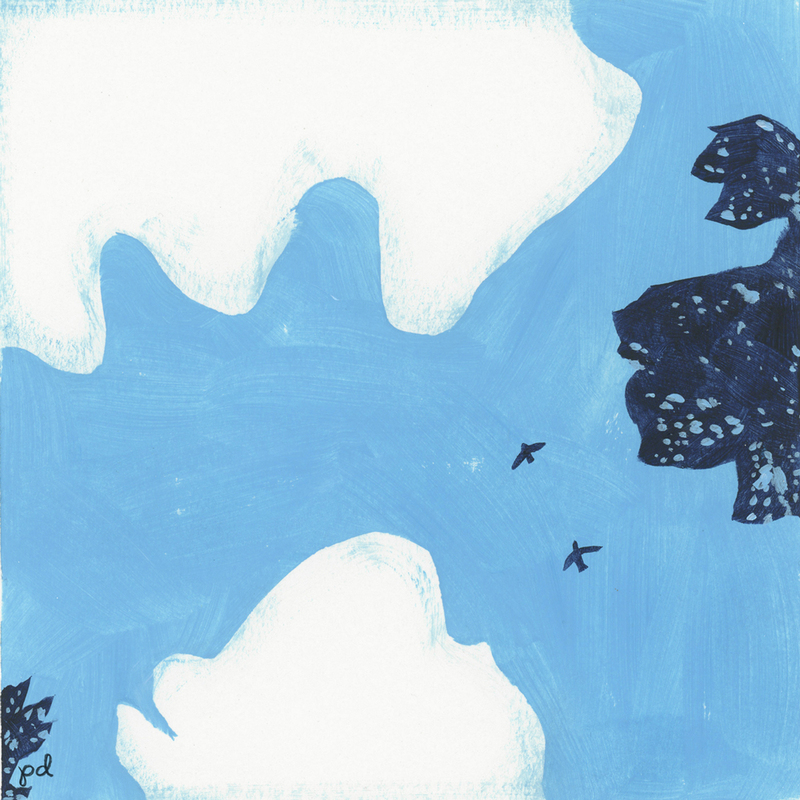 All the drawings were then put together to form one sky - you can see them all here. Such a beautiful concept, especially needed right now I think. This was my contribution. For our 40th birthdays (Colin's in July, mine in September), we wanted a sweatshirt vacation. Nothing tropical or hot. But cool, sparse and active. We'd seen a few pictures of Nova Scotia and it looked beautiful - underpopulated, clean and spacious. And that's exactly what we found. Lots of space to think, clear out our minds, and populate them with new inspiration. We hiked trails ending in waterfalls. Swam in cold, clear lakes. And climbed a mountain to see literally breathtaking views. Above are a few pictures I snapped. Click on them to see bigger. In our house, we always end the day by sharing our rose (best part of our day), thorn (the worst) and bud (something we're looking forward to). It usually sparks meaningful conversation and helps our little family of three feel close even though our days are often spent apart. I know I've mentioned this ritual before, but I wanted to capture it in an illustration. I think I'm going to start a new series from the leftover paint on my palette. Could be fun! What would a good hashtag be for that? I'm horrible with interesting hashtags. #leftoverabstracts ?